Metro9 underwent an enormous and thorough transformation. It used to be a century cold storage facility which at one point held over 1 million lobster tails! The project has now been reborn as a bold, luxurious residential community. It has been developed using ecologically friendly strategies in both the redesign and reconstruction of the original building and received a LEED Gold Certification from the U.S. Green Building Council. 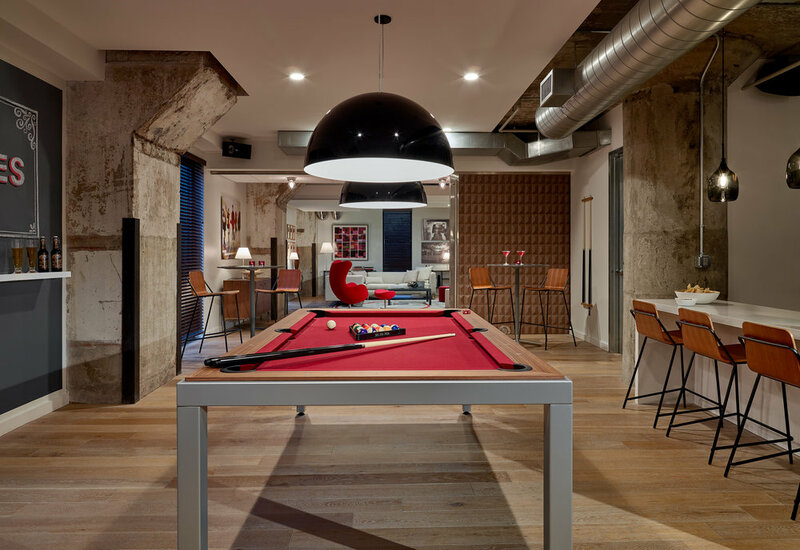 The homes at Metro 9 are innovative, vigorous and bold, infused with the dynamic energy of Somerville, Cambridge and Boston. It was our charge to transform the common spaces on the first floor into a comfortable, sophisticated and vibrant lobby, billiard room and shared workspace. While basic features such as the spatial layout and barn door stayed in place, we chose to completely change the look and feel of the existing lobby and added fresh, warm and confident textures and colors for the furniture and art work. Two generous and inviting seating areas are anchored by a transparent glass fire place and visually separated from the entrance by a translucent partition. 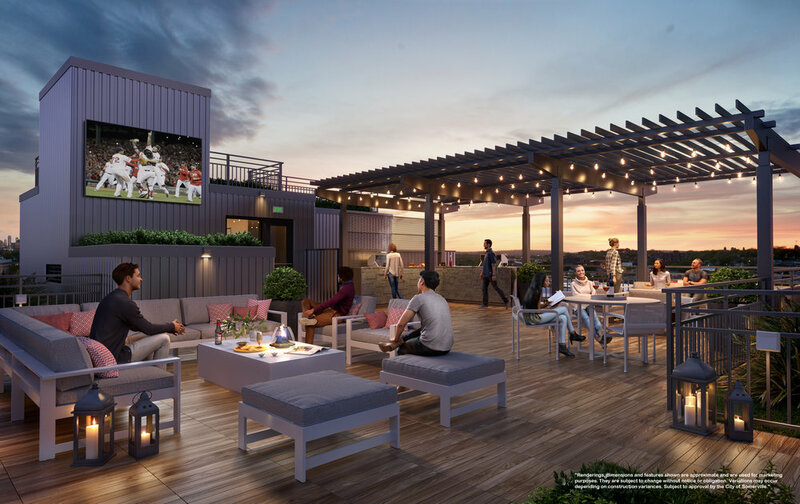 The roof deck features generous seating areas, a barbecue corner with two grilling stations and an oversized TV screen for leisure and entertainment.